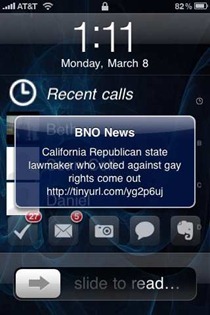 BNO News iPhone App Push Alerts Firing on all Cylinders Again? BNO News – which used to always be the fastest provider of news via push alerts on the iPhone – had recently slowed to a very infrequent trickle of alerts for me. And I know at least some others were experiencing this as well. As of today, BNO News seems back to its old self as far as push alerts. I’ve seen a good handful of breaking news items today. Anyone else seeing BNO News springing back to life a bit today? Yes, I have been experiencing quite a few push alerts today. Definitely more than usual. I guess we will se how things go. My subscription just recently ran out so I will be purchasing another subscription if things hold up. I am hoping for the best bc I have not found another news app that pushes breaking news as fast as BNO. It's definitely been one of my go to news apps. I didn't realize how heavily I relied on it for my news until it stopped working… Fingers crossed here. I noticed the same thing today and was wondering what the heck was going on..I hope they keep it up..it has been my number 1 news app…i was feeling lost without it! Glad to hear you guys are seeing same as me. And the alerts are still flowing for me.